The Actors' Temple, 339 W. 47th St.
Vox Hebraica will open its inaugural season at the Actors' Temple with a double bill featuring the renowned NYC-based Klezmer bands, Metropolitan Klezmer and Isle of Klezbos. Hailed as one of the finest American Klezmer bands, Metropolitan Klezmer performs inspired neo-traditional interpretations and compositions springing from a varied, eclectic Yiddish repertoire including ethereal trance, rollicking dance, imaginatively-arranged Yiddish swing and tango, plus genre-expanding originals such as klezmer cumbia. 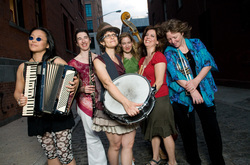 The soulful, fun-loving powerhouse all-gal klezmer sextet Isle of Klezbos has been heard on broadcasts from CBS Sunday Morning to Showtime's L Word. Organized by Metropolitan Klezmer drummer/leader Eve Sicular, they approach Yiddish musical tradition with joyful irreverence and deep respect, bringing lush, hard-swinging, introspective and imaginative arrangements to lesser-known gems, as well as creating new repertoire with influences both rooted and unexpected, beautifully combined and freshly spiced. Tickets are $10/students and seniors, $15 general admission. APAP members and Actors' Temple congregants are welcome free of charge or by donation. 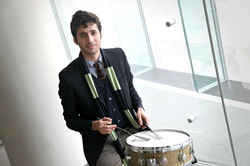 For more information, visit metropolitanklezmer.com and http://www.klezbos.com. 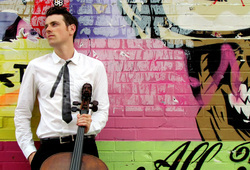 Israeli cellist Elad Kabilio will present a concert of music written by Israeli classical composers. This concert is being co-presented by Music Talks.As an active soloist, chamber musician and a teaching artist, he has recently performed at Weill Hall at Carnegie Hall, Alice Tully Hall, the Morgan Library, and the Joyce Theater in New York City. In 2011, Mr. Kabilio was appointed Music Director of Ballet Next, New York’s new top Ballet Company, to critical acclaim. He also performed at the Aspen music Festival, Young Artist Festival in Bayreuth – Germany, Chautaqua Music Festival, Keshet Eilon Music Festival in Israel and he was featured in a special edition of “Young Artist Showcase” on WQXR Radio. For more information, visit him on the web at www.eladkabilio.com. Jazz drummer Sammy Miller and his band, the Congregation, will host a Cotton Club revue-style show ft. guest singers, dancers, comedy, and art. In Sammy's words: "In his autobiography, Duke Ellington talks about making an emotional connection with listeners as the most important thing for him. In my experiences in New York, working with many different musicians, many performers don’t understand the importance of this connection. I want to let audiences in again. Part of artistic beauty is entertainment. We must not always jump to the conclusion that they are mutually exclusive. Perhaps the place that best embodied this true meeting of high art and entertainment was the Cotton Club in Harlem. During the 1920s/1930s it was the home to the Cotton Club Revue. These masterpieces featured amazing music (for an extended period Duke Ellington and his Orchestra) where the house band, vaudeville performers, dancers, and comedians. These shows featured songs written by some of the best around. This includes son of of a cantor, Harold Arlen (wrote Somewhere Over the Rainbow too), Ted Koehler, and Dorothy Fields (one of the first successful female lyricists for Tin Pan Alley). The cotton club was a place where all different types of artists, from many different background, collaborated to create something spectacular. " Violinist Marina Kifferstein and cellist Meaghan Burke make up the core of this dynamic duo, which brings together a wide array of music that they think is awesome. This concert will feature guest artists Anne Lanzilotti and Lavinia Pavlish, performing works by 20th century giant György Ligeti, emerging composer Noam Faingold, and downtown NY legend John Zorn, with a sprinkling of surprises thrown in to the mix. Vox Hebraica is a concert series that presents diverse perspectives on the contemporary Jewish experience. Hosted by the Actors’ Temple, performers share the space with entertainers of old who gave it it’s name, such as Sophie Tucker, Shelley Winters, and members of the Three Stooges. Located in the heart of the Broadway theater district, this historic landmark also houses a thriving theater when it is not in use for services. We behind-the-scenes folks are very interested in all kinds of audience feedback and involvement. To get involved or to make your voice heard, contact curator Marina Kifferstein at voxhebraica@gmail.com. To make a donation, please make your check payable to the Actors' Temple, with the memo "Vox Hebraica." Donations of any amount help us to continue producing the highest quality concerts with the best musicians in town!